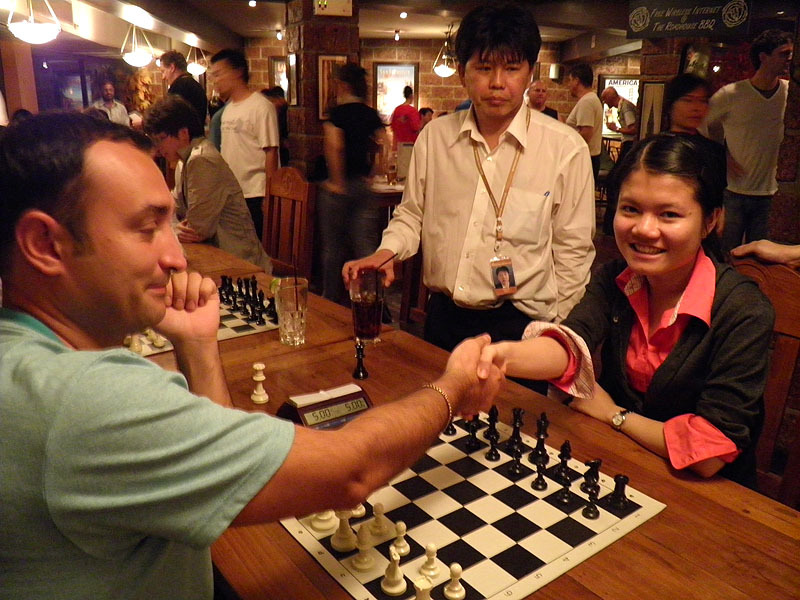 The final of the annual Bangkok Chess Club Championship was held in our regular Tuesday night blitz venue, Roadhouse Barbecue, which is within walking distance of the Dusit Thani. We took over the entire floor for players and spectators, with a buffet to keep the energy levels up. 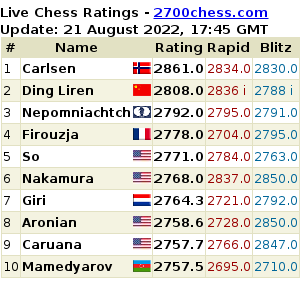 Clear winner was GM Amonatov, with IM Nguyen Van Huy and Wan Yunguo only half a point behind.